GILBERT AND GEORGE dine at his restaurant every evening and Christopher Lee, Damon Albarn, Alex Kapranos, Paloma Faith, Hussein Chalayan, Diane Abbott, Erdem, Paul Whitehouse and Plan B are among other famous patrons of the eatery. But Ferhat Dirik, below, right, the co-owner of Mangal 2, rarely sees them. He is busy on social media, dishing out insults rather than food, and his tweets have won a cult following. Bursting with four-letter expletives, they are within the boundaries of political correctness, as you would expect of someone dubbed “a Mipster”, a Muslim hipster, by the Evening Standard – but only just. When the 25-year-old is not dissing the country of his ethnic background – “Not saying things are backwards in Turkey, but Daft Punk’s Get Lucky has just topped the cassette charts” – he is skewering Nando’s, which has a branch 50m away. Dirik denies having any ill feeling towards Nando’s but says: “These chains are so powerful and Dalston is small-business-oriented. “I’m not expecting any response from Nando’s, although people usually respond. “I’ve had none. I’m sure they will one day. 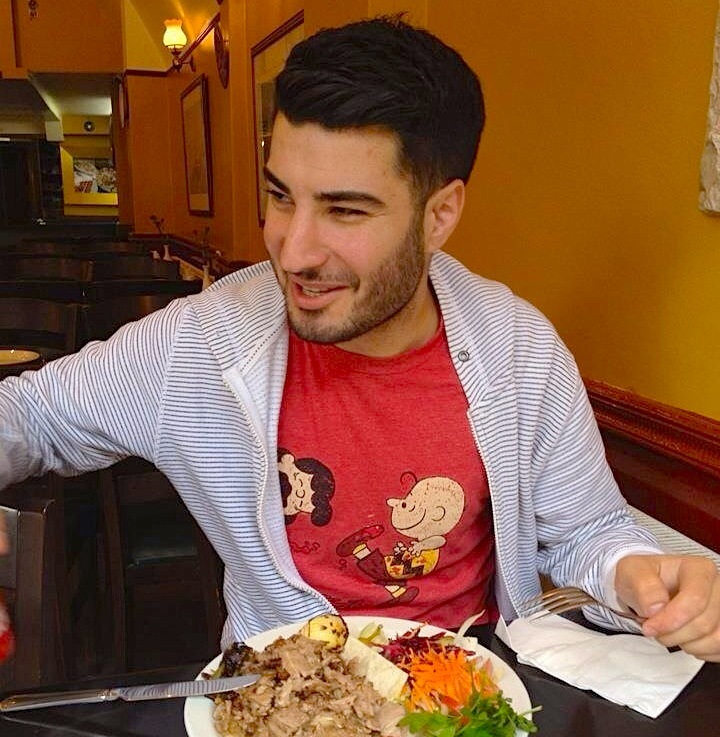 Nando’s commented to Loving Dalston: “It’s nice that the guys at Mangal 2 can’t stop talking about us. Dirik, born in Hackney and once top of his English literature class at the Chingford secondary he attended before going on to win degrees in international economy and law, lives with his Hungarian girlfriend. The Dalstonist, a local freesheet, has hired him to write a lonely hearts column and he is consulted on social media by a media company. His father, Ali, in 1991 created the original Mangal, which also cooks ocakbasi (with charcoal) style, with a business partner, who took full ownership in the late 1990s, around the time the second Mangal was opened.